The police safer neighbourhoods team have reported robberies of phones from children after school in Green Lanes and Aldermans Hill. Palmers Green police have issued warnings about robberies around cashpoints and bank branches. The risk of burglary doesn't end after the presents have been opened. The number of break-ins usually increases after Christmas, reaching its peak in the run up to New Year's Eve and into January. 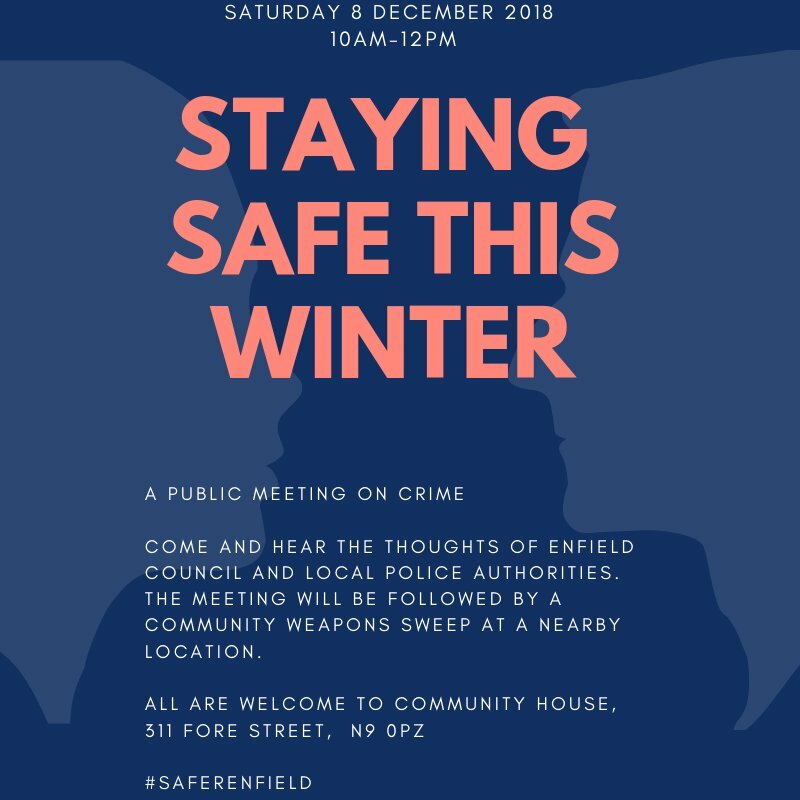 The second in a series of public meetings on crime will be held in Edmonton on 8 December and will be followed by a community weapons sweep.